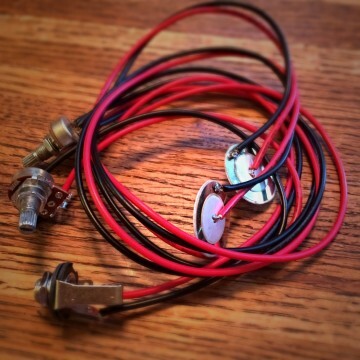 It doesn’t get any easier than these Dual Piezo pickup discs with peel and stick self-adhesive, volume and tone controls, and pre-wired to a 1/4″ inch input jack. 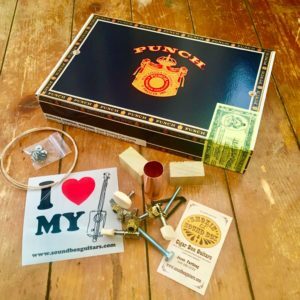 Electrify your playing and get that raw, swampy sound from your cigar box guitar. 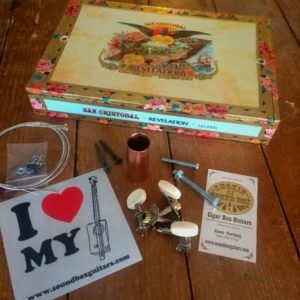 You can also easily electrify your ukulele or mandolin,…even your washtub bass or washboard! 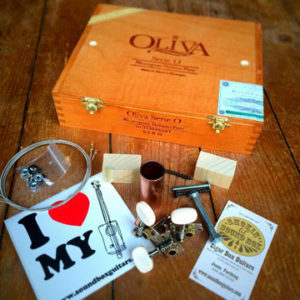 Electrify your playing with this easy to install “Deluxe” Dual Piezo Pickup kit with volume and tone control, wired to a 1/4″ input jack. Fast shipping and a quality product for the money. I installed this on my first cbg project and it works great! Follow Jason’s pro tips! Hi Brad, should have them ready to order by the weekend.